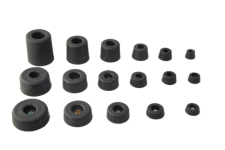 Rubber Feet, we injection mold them in over thirty sizes and custom orders are available. 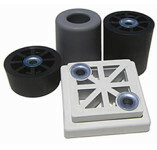 Budwig Company molds other materials but thermoplastic rubber feet has become our first choice. 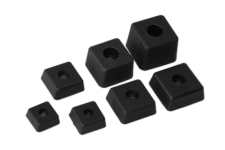 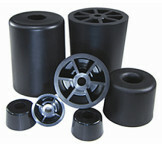 Budwig Company stocks the rubber feet (bumpers) in black and medium grey and offer optional colors and hardness. 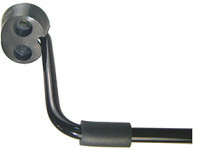 Who Put the Ham in Ham Radio?